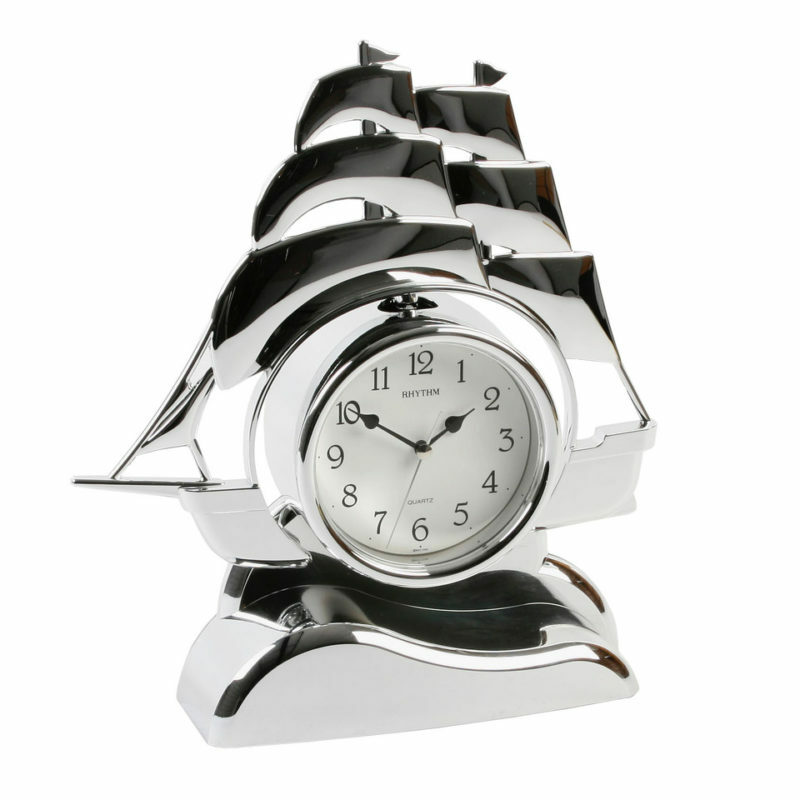 A gold Rhythm rocking ship mantel clock. The clockf ace has black arabic numerals, spade shaped clockhands and a golden second hand. The ship shaped design acts as the pendulum, gently rocking as if floating on the ocean. The Japan Quartz movement is designed with precision and accuracy in mind above all else, meaning this clock will keep impeccable time for its lifetime. With superior, Swarovski crystal decoration and unique sound quality, Rhythm is globally renowned as the number one clock brand. Rhythm clocks are the centre of attention, providing a luxurious touch of refined beauty to any style of decoration. Built for a clock lover who appreciates ingenuity, the quality of a Rhythm clock is unparalleled. These beautiful and sought after timepieces are sure to be cherished and treasured for a lifetime.